The Tour Down Under has three stages under its belt - All the results and video action from Australia. Plus Mathieu van der Poel takes another cross win. Top Story is some good news for a change. In other cycling news: 2019 Tour of Oman route, Romain Bardet to ride Milan-San Remo, Wildcards for Catalunya, suspension for Brajkovič and Sola, team suspensions for Tramadol and new suppliers for Dimension Data and UAE Team Emirates. We finish with the BORA-hansgrohe team launch video. Some good news for a change. The Italian rider, Samuele Manfredi, who rides for the Groupama-FDJ development team, was woken from his coma on Monday, and the condition of the 18-year-old rider is said to be no longer life-threatening. Manfredi was involved in an accident on 10th December 2018, after which he was put into an induced coma. Now the new signing of the French team can begin his rehabilitation. The latest tests have shown that the bruising in his head has diminished, but is still present. The Manfredi family would like to thank the many people who have given them enormous support and written messages to Manfredi and his team on Facebook. Everyone at PEZ wishes Samuele a full and fast recovery. 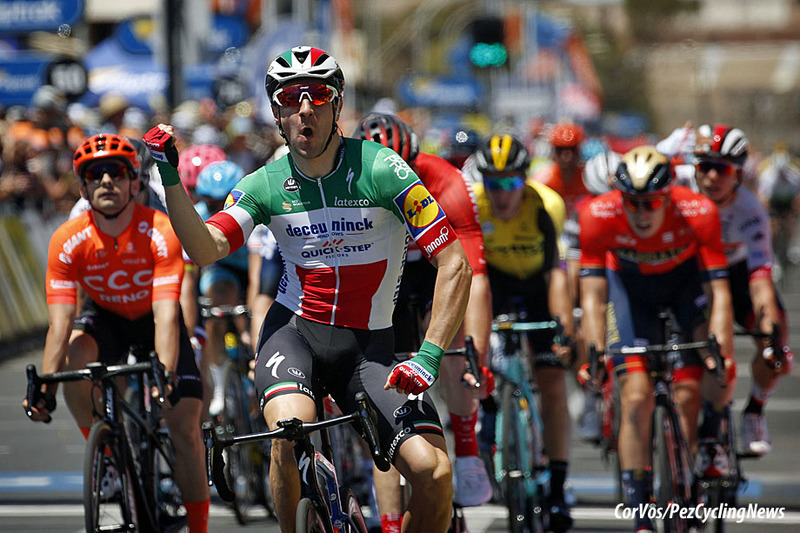 Elia Viviani (Deceuninck - Quick-Step) won Stage 1 of the Tour Down Under in Port Adelaide on Tuesday. The Italian champion came through in the last 200 meters, passing Max Walscheid (Sunweb) and Jakub Mareczko (CCC). 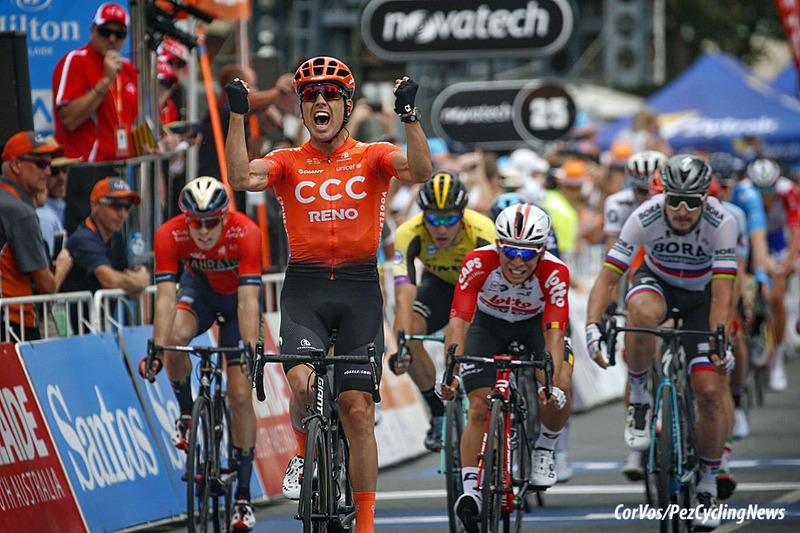 Stage 1 of the WorldTour season opener was a flat race around Adelaide, and gave the sprinters the first opportunity to gather some WorldTour points, a stage victory and the first leader's jersey of the year. The four riders of the early break stood no chance of victory in the Australian heat around Port Adelaide. Michael Storer (Sunweb), Artyom Zakharov (Astana), Patrick Bevin (CCC) and Jason Lea (UniSA-Australia) made a brave attempt and built up a maximum lead of nearly 4 minutes. With an hour left to race they were brought back by the peloton. The sprinter's teams took over to keep their leaders in good positions for the final gallop. Jumbo-Visma were at the front for Danny van Poppel as Trek-Segafredo did the same to look after Richie Porte in the last three kilometers. In the last kilometer it was still Jumbo-Visma that led the peloton. Van Poppel was the only rider after a tricky turn that started the last kilometer with a lead-out ahead of him; the rest of the field was in tatters due to the technical run-in. The Dutchman went too early and soon had Walscheid coming round him. The German seemed to be on the way to a fine victory, but Viviani seemed to come from nowhere for his first win of the season. Stage winner and overall leader, Elia Viviani (Deceuninck - Quick-Step): "First win of the year for the team, first win for me, it’s a really great day for us. I felt a bit of pressure after the amazing season I had last year, but now I am more relaxed and already looking forward to the next opportunities I’ll get this week here in Australia. We knew it was going to be a headwind, and this made for a difficult and chaotic sprint, but our plan was to wait a little bit before putting me in the best position. All the teams were committed and it wasn’t easy to find some space, but Michael and Saba did a great job, as always. Despite some guys having a few meters on me in the final, I didn’t panic and opened my sprint at the right moment. Once I found that space on the left of the barriers, I felt that I could win." 2nd on the stage and overall, Max Walscheid (Sunweb): "There was a headwind, and I also went pretty early. My legs exploded in the last fifty meters. Viviani did a great job of going at the right time. However, I am proud of how we have raced as a team. Compliments to the young riders, such as Cees Bol. They really brought me well (to the line). It is special to show it in the first stage." 3rd overall, Patrick Bevin (CCC): "It was definitely our intention to go in the breakaway and pick up some bonus seconds. We talked about it yesterday and if they were going to let a group go away and I could sneak off the front and take some seconds, in a race that is often decided by count back or seconds, then why not take it. So we went out and took them and start the next five stages with a head start. I didn’t find the heat too bad. Up in the hills it wasn’t terrible and because we had a group that was working there was no big effort. We rode hard for a brief period and got a gap, then we went back and forward with the bunch, and when you’re taking water you are not really doing any big acceleration. It was definitely a gamble. You can take five-seconds today and lose two minutes in three days’ time. That’s bike racing. We are here to try and win it and to lie down and wait for Willunga, well I’m not going to win it. I’m going to have to fight for every single second and that started at kilometer zero today. I would be happy with a top-five result on the General Classification. I have been in the top ten here before and I think top five in a WorldTour GC is hard to come by." 3rd on the stage and 5th overall, Jakub Mareczko (CCC): "The last kilometers were hard because all of the teams were trying to stay at the front. I stayed behind Ventoso, and behind me I had Sajnok, so we tried to stay in front with Owsian, all together. In the last corner, with a bit more than one kilometer to go, Ventoso was in front but I was a bit back so I found the wheel of Viviani when he passed on the left side of the road. I had to brake a bit as two riders in front of me stalled a bit so I preferred to pass on the right side. Viviani held on and I was able to get third place. I am feeling good but the weather was very hot today. I hope it will be a bit cooler in the coming days. It definitely gives me confidence here and we want to take a stage win here. It’s not easy as there are many teams that are trying to stay in front, for the overall or for the stage, so we will keep trying day by day." 4th on the stage and 7th overall, Phil Bauhaus (Bahrain-Merida): "I had a really good race today and TBM did a really good job and especially Marcel was really strong in the final. I found myself in a super good position and behind Walscheid SUN and wanted to pass him when the sprint stared. I was on the very left side, close to the fence and I had to stop peddling for few moments and lost a bit of the rhythm. It was my first WT race with my new team and I am very happy how we worked, but of course we still have space for improvement. We just have to continue like this and go for the victory." 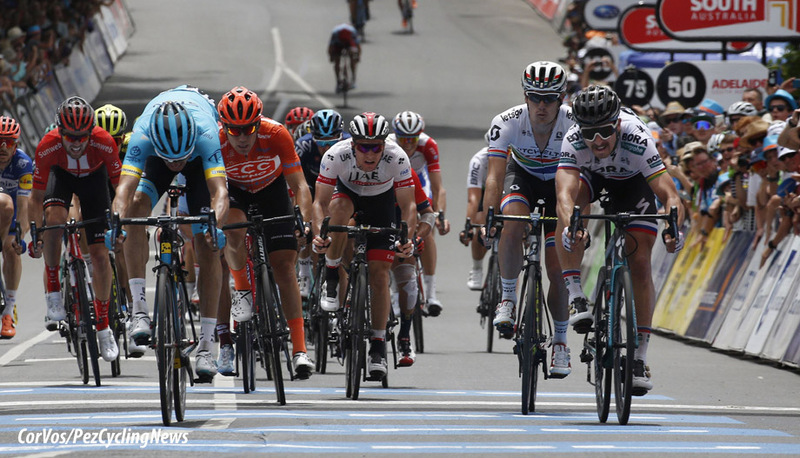 8th on the stage, Peter Sagan (Bora-Hansgrohe): "The first official stage of the Tour Down Under and the 2019 season was fast and it all came down to a quite hectic sprint finish. My result wasn't the best we would have liked but as I say, this is just the beginning of a very long season. I feel in good form and we have more stages ahead to fight." 10. Daniel Hoelgaard (Nor) Groupama-FDJ. 10. Kristoffer Halvorsen (Nor) Sky. Patrick Bevin (CCC) won Stage 2 and moved into the overall lead in the Tour Down Under on Wednesday. Bevin jumped early in the sprint in Angaston and missed the crash, outwitting the sprinters to beat Caleb Ewan (Lotto Soudal), Peter Sagen (Bora-Hansgrohe) and Danny van Poppel (Jumbo-Visma). 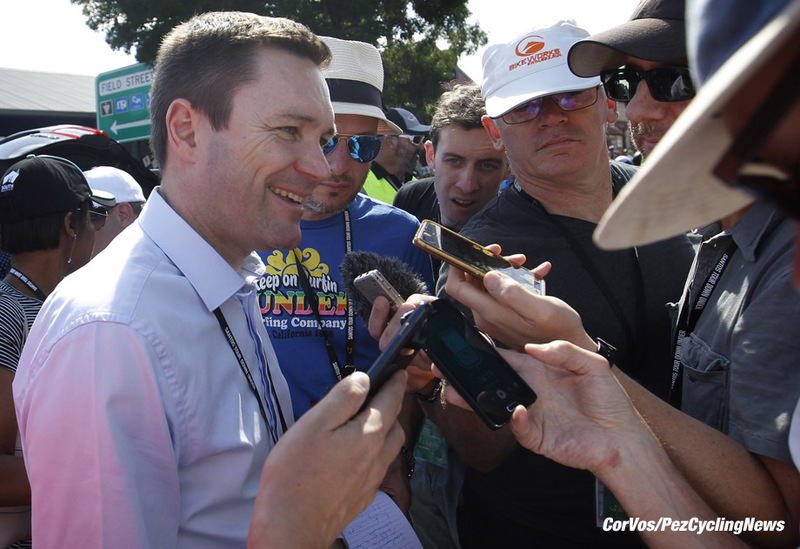 Stage 2 of the Tour Down Under was shortened due to the warm weather. Stage 1 was shortened by 3 kilometers, stage 2 was reduced by 25 kilometers as the temperature reached 40ºC. Three riders were brave enough to try a break: Jason Lea (UniSA-Australia), Artyom Zakharov (Astana) and Jaime Castrillo (Movistar) managed a lead of 3 minutes, but were caught just after the halfway mark. Mathieu Ladagnous (Groupama-FDJ) went on a solo ride to take a lead of 2 minutes, but he was caught with 1.5 kilometers to go. The sprinter teams took over the control of the peloton again. A crash in the last kilometer caused chaos, allowing Bevin to take advantage of the confusion and jump early. The New Zealand CCC rider out-smarted the others for the stage and overall lead. Ewan and Sagan fought it out for second place. "It’s my first WorldTour win. It’s huge. WorldTour wins are so hard to come by. I wouldn’t have put money on it being a sprint like that. I’ve been working so hard on my time trialing to take my career that way. It’s amazing. In the last few years we haven’t had sprinters and then we were third, and close, yesterday and today to win it sets a precedent for this team. Like I said here yesterday when I was most aggressive rider, we are going to fight for everything we can get. This [CCC Team] is a revamped outfit with a totally different mindset, totally different goals, and we want to give it everything we have. I love the Tour Down Under. It’s always been a great race for me." "It’s been a long time since I’ve had a good run in a bunch sprint but I’ve done a lot of work in the off season on my time trialling, with the power simplifying what I was doing. Obviously, it’s working as I was floating around that finish thinking I’ve got some legs here. The team was riding for Jakub Mareczko and I had a free role. But, chasing GC here you have to stay up there and not lose time. We knew it was a tough finish and because the stage was so easy, it was on for the last five kilometers when it was full gas. Coming into two kilometers to go I got myself in a really good position and I put myself on the shoulder and as that crash happened, I came around. [Luis Leon] Sanchez went off the front and I thought I would just go and try and use him as a springboard off the front. Straight sprinting I wasn’t going to be able to beat those guys but I had to capitalize on how hard it was." "It’s a long week from here. We have had the two easy days so we’ll look at tomorrow. Tomorrow is tough. It’s my fourth time at the Santos Tour Down Under and I think it’s the toughest stage I’ve ever done. Leading the race changes the tactics a bit, you absorb a bit more pressure, but I feel like we are in a great position to box on in the next four stages." 3rd on the stage and 8th overall, Peter Sagan (Bora-Hansgrohe): "Although there was a crash in the finale today, I think that yesterday's sprint was more dangerous. Today was on a slight climb and it was more about legs. I wasn't affected by the crash though as it happened behind me. I think someone touched my back wheel. When Luis León Sanchez attacked, I stayed behind him but Patrick Bevin won quite easily. Tomorrow will be a harder stage than the first two ones but I will see what I'll do. I'm not going to decide now, I'll see during the stage what chances I have. As I said, I'm here mainly to train and if I can get something or a stage win then it will be fine but even if I don't, I will not be worried." 4th on the stage, Danny van Poppel (Jumbo-Visma): "I was pretty nervous, it was the first real chance. The team did a great job and led me out well. I was in Sagan's wheel, because I knew I had to keep an eye on him. It was a sprint of the dying swans. Today there was a big chance of a victory, but I was knocked on value. I do suffer from the heat, but that has the whole peloton. Every effort counts for two." 10. Jaime Castrillo (Spa) Movistar at 0:12. It has taken three days, but Peter Sagan (Bora-Hansgrohe) has won his first race of the season. After stepping on the podium in Port Adelaide and Angaston, the ex-World champion managed the top step at the end of Stage 3 of the Tour Down Under. Sagan beat Luis Léon Sanchez (Astana) and Daryl Impey (Mitchelton-Scott) in Uraidla. CCC's Patrick Bevin finished in 5th place to hold the overall lead by 1 second from Sagan. The 146 kilometer stage from Lobethal to Uraidla was billed as one of the toughest stages of this year's Tour Down Under with seven laps of an undulating finish circuit with more than 3000 meters of climbing. Bevin’s CCC team controlled the race from the start and kept a seven-rider breakaway’s advantage within three minutes, before slowly pulling the group back. By the time the race entered the final 50 kilometers, the peloton was just over one minute behind the now-six rider breakaway. The gap came down to 30 seconds approaching the last 30 kilometers, at which point three riders jumped ahead of the peloton to join the remaining three riders, and eventually it was just Alberto Bettiol (EF Education First) off the front. Sky lifted the speed and Bettiol was caught at the start of the final lap. Sprinters and GC riders were fighting for position which ripped the peloton to pieces. Less than 50 riders contested the sprint at the end of stage 3. Daryl Impey was the first to jump, but the South African was pulled back in the final bend by both Sagan and Sanchez. Sanchez couldn't get past the Slovak champion and lost by less than a wheel. Sagan repeated his win of last year on this stage in Uraidla. Patrick Bevin, the surprising winner of stage 2, confirmed his good form to finish in the top five. Bevin will start in the leader's jersey on stage 4, although Sagan is only 1 second behind him, with Luis Léon Sanchez in third at 9 seconds. Michael Storer (Sunweb) is in 4th place at 10 seconds with Daryl Impey (Mitchelton-Scott) at 11. Danny Van Poppel (Jumbo-Visma) took another 4th place on the stage and moved up to 6th at 11 seconds. Stage winner and 2nd overall, Peter Sagan (Bora-Hansgrohe): "I am very happy to take this win. The guys from CCC controlled the pace and then BORA-hansgrohe worked hard to keep me on the front and take care of me, keeping me hydrated. In the end it was a great finish – when we passed the last climb I thought it was going to be like last year and in the end it just happened exactly the same. It was much better having some experience of a finale like this and I’m very happy we came to the finish with climbers because it made the sprint easier, but Sanchez was really close to taking the win." 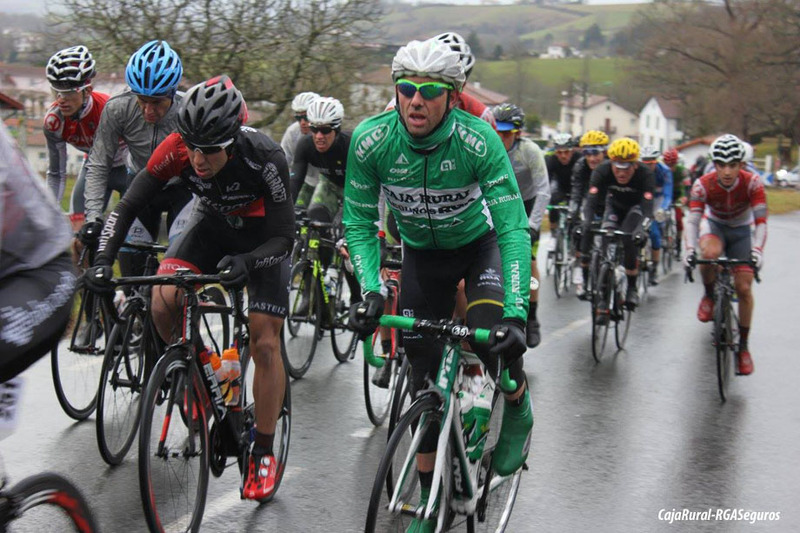 Overall leader and 5th on the stage, Patrick Bevin (CCC): "Today was the nervous stage. To get through that still in the lead is a big step forward to the ochre jersey on Sunday. From here on out, I feel like it’s about the legs. Today was the tactical day that could have really blown up. We managed it really well and I said at the start of the day that if we’re coming into the sprint then we’ve done our job. To give back a little bit of time is not the end of the world." "The last lap was always going to be hard no matter how the day was ridden. There was too much at stake at the finish. I felt like I had to cover those last two or three kilometers to make sure it was all together at the finish and protect the jersey. I feel like I’m climbing really well and I had it completely under control in that last lap. There is no hiding tomorrow. That [Corkscrew] is a very tough climb. Thankfully the stage should play out fairly simply tomorrow, everyone wants to see who has the legs on Corkscrew and let’s hope it comes together at the bottom and we can stand here tomorrow still in the leader’s jersey. I feel like gravity is well in my favor for that eight-kilometer descent. I have done that descent a hundred times so I back myself to pull back any gaps. Obviously, they have to take time from me so it’s a little bit like today, I may cost myself the stage but if it means I’m still in the jersey, then that’s another win. I’ll be fighting all the way to the line to keep the ochre jersey." 10. Domenico Pozzovivo (Ita) Bahrain-Merida. 10. George Bennett (NZ) Jumbo-Visma. Mathieu van der Poel (Corendon Circus) defeated Wout van Aert (Cibel-Cebon) in the cyclo-cross of Otegem, ahead of the new Belgian champion Toon Aerts (Telenet-Fidea). It looked like there was going to be a battle between the top riders, but a small mistake by the World champion ended his chances as Van der Poel immediately lifted the pace. Daan Soete (Pauwels Sauzen-Vastgoedservice) and Laurens Sweeck (Pauwels Sauzen-Vastgoedservice) had a fast start with Van der Poel on their wheel. Belgian champion, Toon Aerts, had a bad start, which meant he had an early chase. Sweeck was dropped due to a chain problem and Van der Poel took the lead, although he was soon sat at the back of the group. On the second lap; Wout van Aert attacked, but Van der Poel was immediately on his wheel, but Aerts reacted too late, leaving him in the chase group. The cooperation behind was not too good and the two leaders rode away. With five laps to go Vane Aert and Van der Poel had 50 seconds on Aerts and the chase group. Van Aert made a mistake and Van der Poel was off. The World champion lost 6 seconds and the difference continued to grow. 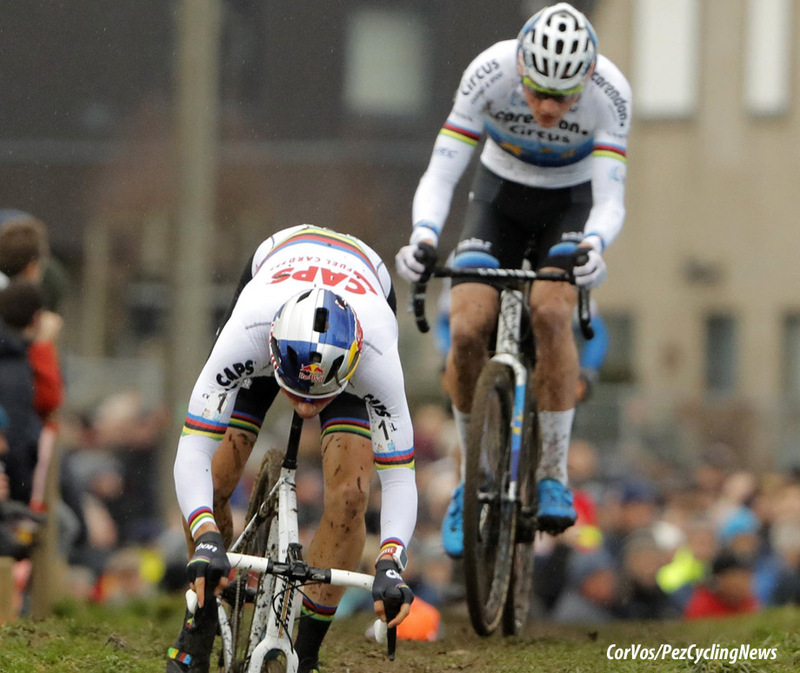 At the start of the final lap, Van Aert had a 30 second deficit to Van der Poel, which he held to the finish. Toon Aerts managed to take 3rd place, which put three different champions on the podium. Race winner, Mathieu van der Poel (Corendon Circus): "Without the mistake of Wout, we might have fought together until the end. It was a difficult race. I felt the cross yesterday, and the party afterwards, in the legs, but in the end it went pretty good. Even though I had the feeling that I still had a gear left. Toon Aerts has taken a big step. At the end of last year, he only had his first podium on a World Cup, I believe. This year he is just about every cross on the podium and he is also leader in the World Cup. That says enough. I saw the summary of the Belgian champs and it was impressive. I'm going to watch the whole race, I'll have some time for that. But I take him into account for the World championships, but if I am honest, I still rate Wout van Aert even higher. He has already proven a lot and that will be the case at the World Championships again. I'm sure I have to be top of that. That will be good. I do not really need that rest, but those training blocks do. And by dropping Pontchâteau I also do not have to make that move. That makes a difference for me. There is one especially that I want to win." 2nd, Wout van Aert (Cibel-Cebon): "I was not really that good, but it was nice to be able to drive around with Mathieu again until the final. With someone else I might have been able to straighten out that mistake, but Mathieu goes on immediately and starts flying. I think I would have become second too, because I felt that Mathieu still had something left. Just cycling in the sun, that is always fun and does well for the feeling and self-confidence. With the team mates of Jumbo-Visma, yes. I fly to Alicante tonight. On Friday I fly from there to Nantes. Sunday, after the cross in Pontchâteau, I drive straight to Paris for a new flight to Alicante. That is a hassle, but it was not possible from Nantes." 10. Laurens Sweeck (Bel) Pauwels Sauzen-Vastgoedservice. Sprinters will take a step back in the following two stages. Royal Cavalry Oman will make its debut in the race as the start of stage 2, a 156,5km to trek Al-Bustan —familiar terrain for aggressive punchers. A leg-breaking mix of climbs, descents and narrow roads in the final 30 kilometers will thin the pack. Nathan Haas won a ten-man sprint here last year. Those who come up short in Al-Bustan will have a chance to make amends the next day, with a stage starting from Shati Al Qurum, which is also making its debut in the race. It will be another opportunity for punchers to shine, with a summit finish on the 2.8km long, 6.5% Qurayyat climb, where last year's Paris–Tours champion Søren Kragh Andersen took victory in 2017. Ø In a month will begin the Tour of Oman. Six stages totaling 906 kilometers through the heart of the Sultanate from 16 to 21 February. Ø The tenth Tour of Oman will be the ninth consecutive edition of the race to feature a summit finish on Jabal Al Akhdhar (Green Mountain), a 5.7km climb with an average gradient of 10.5%. 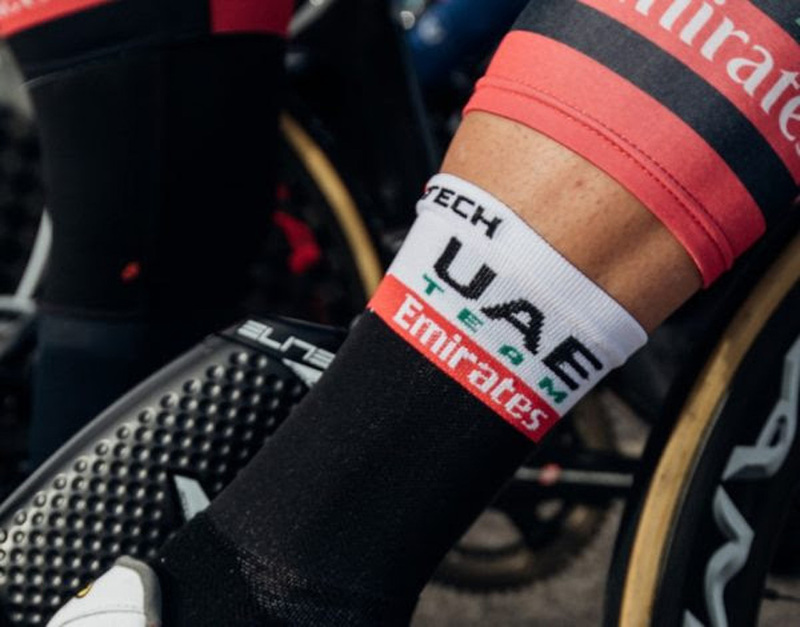 Ø No fewer than 12 of the 18 seven-man teams in this year's Tour of Oman took part in at least one Grand Tour in 2018. 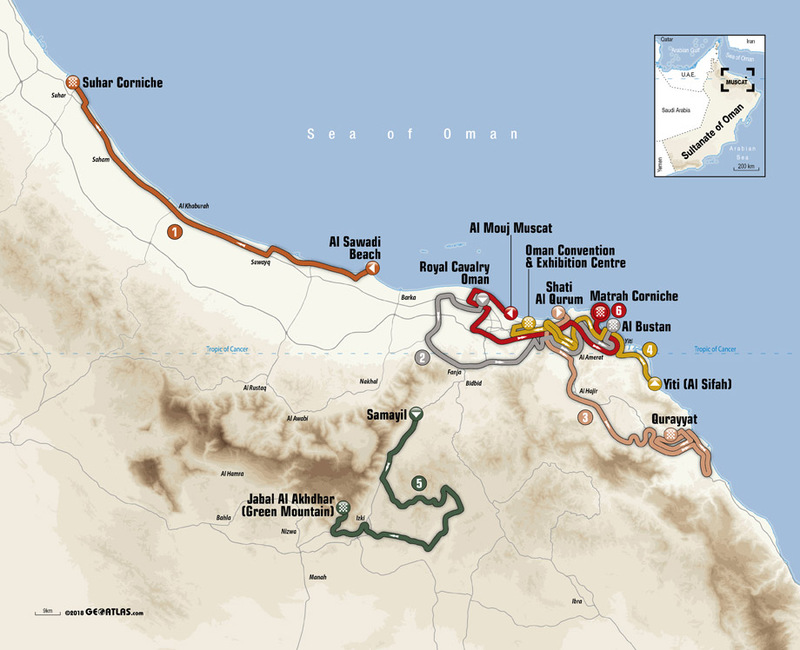 Ø Thursday, February 21st, 6th stage: Al Mouj Muscat > Matrah Corniche, 135.5km. 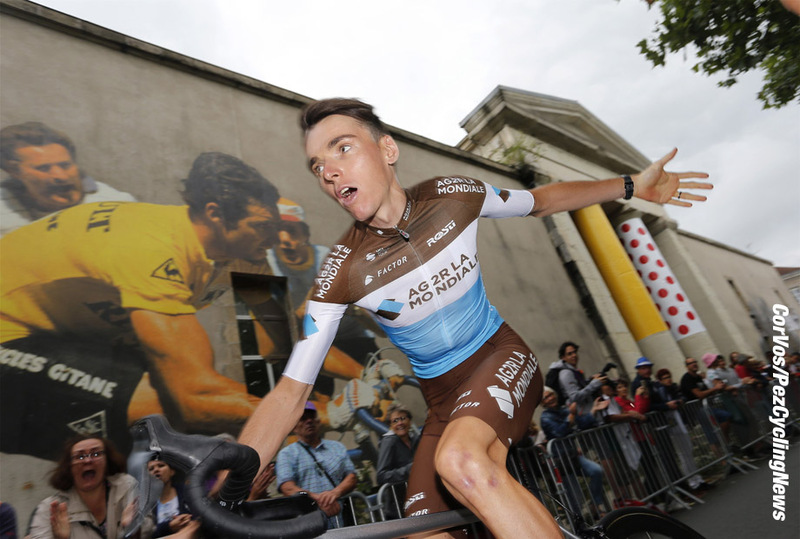 Romain Bardet - according to the French news agency AFP - will start the 2019 Milan-San Remo. The 28-year-old Frenchman has raced in the Italian classic only once before in 2013, the AG2R-La Mondiale leader finished 17th in La Primavera. The possible choice of Bardet is surprising, since he has not participated in Milan-San Remo for 6 years. The Grand Tour rider will probably not ride the Strade Bianche, the Tuscan gravel classic he rode last year. Bardet's 2019 program will start in his own country with the Tour du Haut-Var (22-24 February), the Classic de l'Ardèche (March 2) and the Royal Bernard Drome Classic (March 3). Then Paris-Nice (10-17 March), Tour of Catalonia (25-31 March) and Liège-Bastogne-Liège on Sunday 28th April. After a short rest, he will ride the Critérium du Dauphiné as preparation for the Tour de France. The organizers of the Tour of Catalonia have announced their Wildcard selections on Tuesday for this year's race. The race starts on March the 25th. The teams receiving a Wildcard are: French teams Arkéa-Samsic and Cofidis, Spain's Euskadi-Murias and Caja Rural-Seguros RGA and Belgium's Wanty-Gobert. After riding in 2016 and 2017, the Dutch team of Roompot-Charles will be on the start line in 2019. Janez Brajkovič has been suspended by the UCI for ten months for a positive test during the Tour of Croatia in mid-April. The 35-year-old Slovenian was caught using methylhexanamine, a drug that keeps you alert and less tired. When it became known at the end of July that Brajkovič had tested positive, he was immediately sacked by his team Adria Mobil. The former Discovery Channel, Astana and Bahrain-Merida rider has succeeded in demonstrating that he had not taken the drug on purpose, but that this had ended up in his body via a contaminated supplement. The UCI has decided to impose a 10 month suspension, which will expire on the 1st of June 2019. Manuel Sola has been suspended by the Spanish anti-doping agency AEPSAD until 31st January 2022. 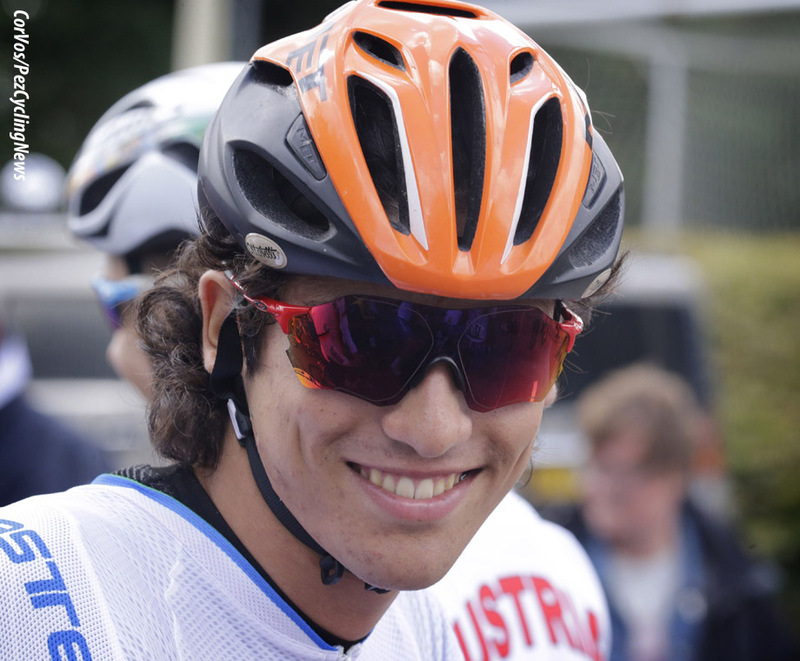 In May 2017, the Spanish rider was caught using Testosterone. More than a year after his provisional suspension took effect, it was only now known how long Sola would not be allowed to race. Sola joined Caja Rural-Seguros RGA in August 2017 as a stagiaire. When it became known that he had been caught using Testosterone before he started his full contract, he was immediately dismissed by the team. Sola will be over 30 years old when he is eligible to race again. Under the new rules of the UCI regarding the use of Tramadol, consequences for teams have also been added. In a letter that riders and teams received on Tuesday, it stated that a team can be suspended for at least 1 month to a maximum of 1 year with two positive riders. In addition, there could be a fine of 10,000 Swiss francs. This will happen with two positive tests in one team, if one rider is caught on Tramadol, he will be removed from the result of the race and fined 5,000 Swiss francs. The rider will also be suspended for five months and if the offense is repeated, the suspension can be up to nine months. Tramadol will be banned from March the 1st, from then on, the UCI will strictly monitor the use of the strong painkiller. Special rules have been made that are different from WADA regulations. "A Tramadol test is simple. We take a drop of blood from a finger of a rider before or after a race", UCI chairman David Lappartient said about the new test. 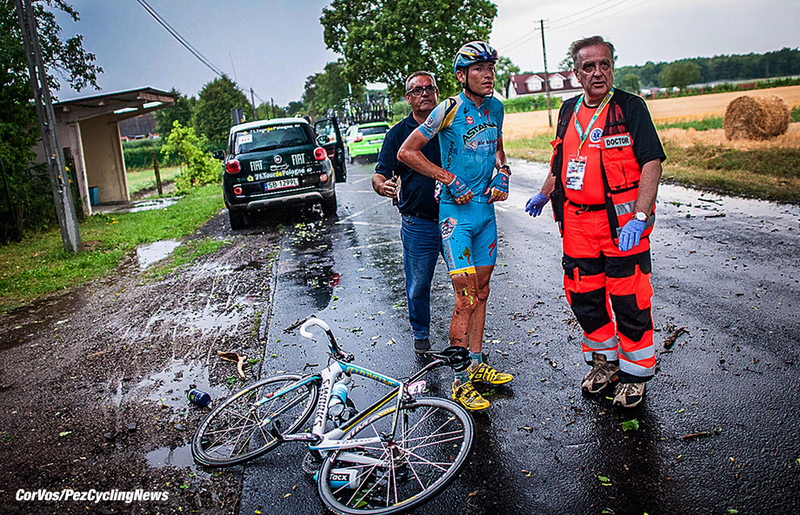 "Since October 2013, MPCC teams doctors committed not to prescribe tramadol to their riders. Since then, MPCC repeatedly asked the World Anti-Doping Agency (WADA) to add this drug to the list of prohibited substances and methods. MPCC is glad to see that, despite the lack of action from WADA, UCI took the lead on this topic and found a tangible solution to this major issue, one that concerns the whole world of high-level sport. MPCC would like to thank all of its members that have fought with the movement for more than five years to achieve this." 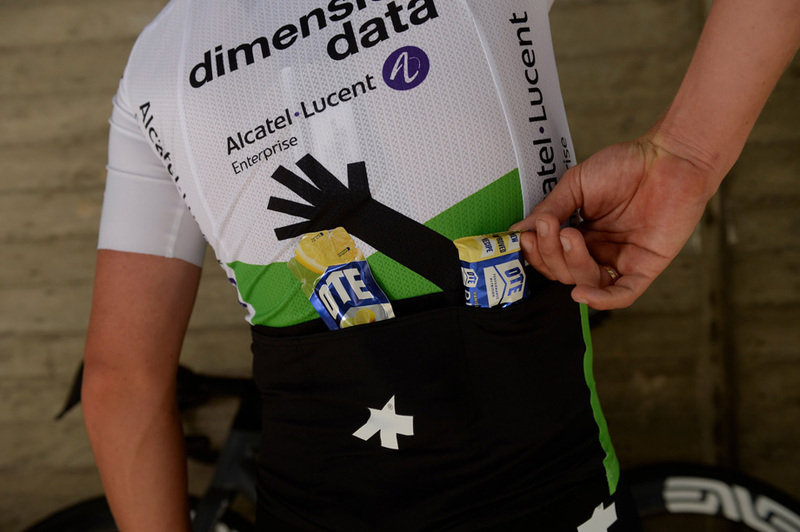 OTE Sports will work closely with Team Dimension Data for Qhubeka’s sports nutritionists to develop bespoke hydration, fueling and recovery strategies, with riders using their award-winning sports nutrition range throughout the season. OTE Sports are also committing to raise funds for 100 Qhubeka Bikes through a series of fund-raising events in 2019. The Qhubeka initiative aims to mobilize the African people through the #BicyclesChangeLives campaign by providing free bicycles to connect communities with limited transport to schools, clinics and jobs. We’ve signed a deal with the Italian company for technical undergarments, socks and accessories.